A few weeks ago, we feature the upcoming MSI Z97 Gaming 7 and Gaming 3 prototype motherboards. After that more manufacturers, like Gigabyte and EVGA, also teased their upcoming Z97 motherboards featuring the latest Intel 9 Series chipset, designed for the upcoming Intel Haswell Refresh and Devil’s Canyon processors. Aside from MSI, Gigabyte also teased their upcoming GA-Z97X-UD5H and Z97 G1 Killer motherboard, and we also have EVGA showing their Z97 Classified motherboard. Check them out below. 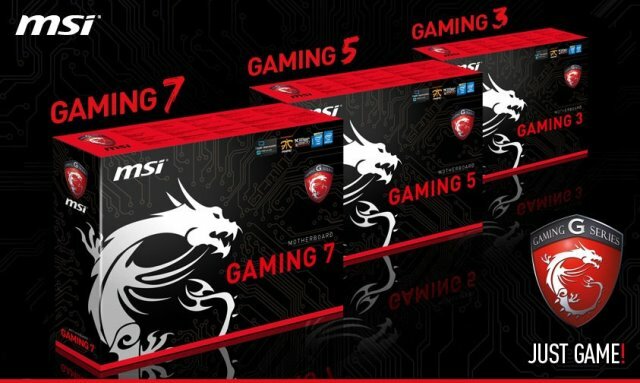 MSI’s upcoming Z97 Gaming series includes Gaming 7, Gaming 5 and Gaming 3; all are based on the latest Intel Z97 Express chipset and have socket LGA1150 that support the next generation Intel Haswell Refresh, Devil’s Canyon and probably 5th generation Broadwell processors. Just like MSI’s current Z87 motherboards, the next generation Z97 Gaming features the company’s Dragon Theme design. 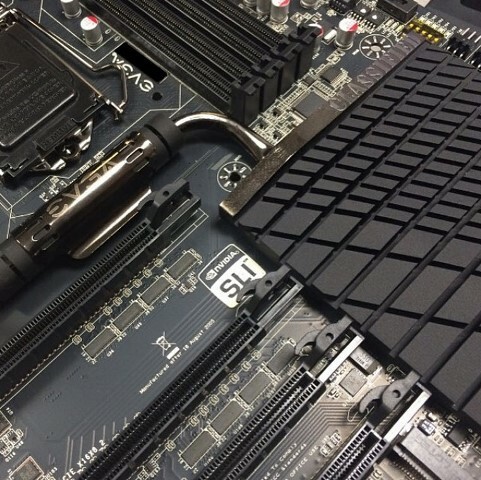 MSI’s high end Z97 Gaming motherboard will feature V-Check Points 2 panel where users can monitor the condition of the motherboard using a direct connection. There’s also Debug LED, OC switches and buttons and Power On/Off and Reset button on the board. 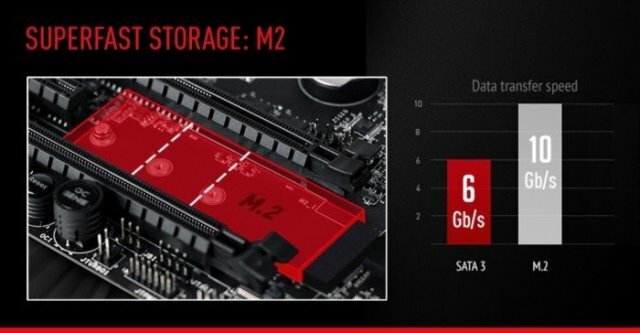 Another interesting feature found in MSI Z97 motherboard is the PCIe M.2 interface for SSD. This is way faster than a SATA 6Gbps, going up to 10Gbps or up to 1250MBps of read/write speed. That’s something we are looking forward. Gigabyte is also planning to release the GA-Z97X-UD5H, successor to their Ultra Durable lineup. It features 12 phase VRM, 8pin power connector, some PCIE slots, probably it will also feature a decent Audio core, since I am seeing a LED path coming from its audio ports. Gigabyte will also release a successor to its G1 series lineup, the Gigabyte G1 Killer Z97 motherboard. It will feature a Sound Blaster audio core with EMI protection and shielding. It will also feature 4x PCIE slots in x16/x16/x16/x8 speeds and 3x PCI-E 3.0 x1 slots. The board will also feature Killer E2200 LAN chip which prioritize gaming connections, a UEFI Dual BIOS and an M.2 PCIe interface. Finally we also have EVGA teasing their upcoming EVGA Z97 Classified motherboard, the successor of their current Z87 Classified. EVGA posted the teaser on their Instagram last March 31 with a caption “Something new coming soon from EVGA… #staytuned”. It looks like the card will feature a lot of PCI-E 3.0 x16 slots, and probably an M.2 PCIe slot as well. 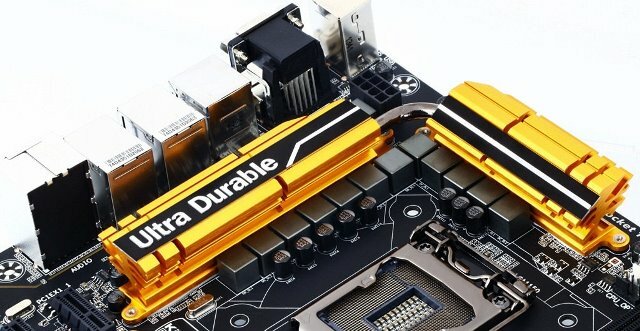 Editor’s note: It seems that M.2 PCIe slots will become a standard in Z97 motherboards. If M.2 NGFF SSDs would become popular (since they offer a much faster read/write speed), there might be a significant price change in the current 2.5-inch SSDs that are based on SATA 6 Gbps. Looking forward to it in the future.